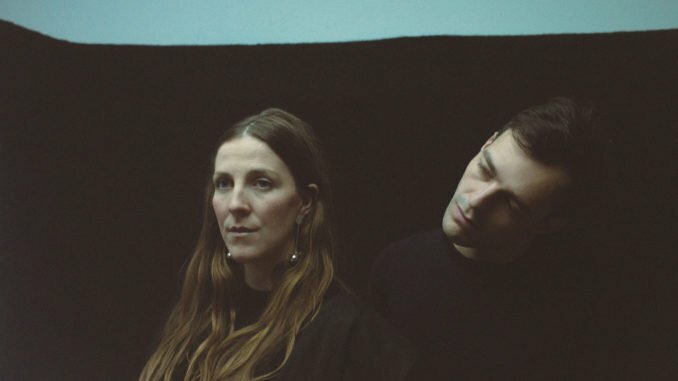 IRAH is the brain-child of Copenhagen-based musicians Stine Grøn (vocals) and Adi Zukanović (keyboards). The band came to life in early 2015 where Adi and Stine improvised together at the Copenhagen music conservatory and instinctively felt a deep musical and spiritual connection between them. Adi was born in Sarajevo in Bosnia but fled with his family as a 4-year-old to Denmark when the war broke out. At the refugee centre, Adi found a small keyboard in the playroom and found that playing music opened a whole new world of calmness for him. Years later Adi is one of the most sought after piano and keyboard players in Denmark and also an arranger for some of the most celebrated Danish symphony orchestras. Since childhood, Stine has felt a pull towards otherworldly ideas and stories, and early on she combined this with her music. Singing and composing from an early stage in her life opened up her creative universe. Her voice has evolved into a seemingly effortless expression that combines improvisational techniques with her deep spirituality. When not playing with IRAH, Stine sings for the sick and dying at hospices and for old people at care centres offering them peace of mind. In 2016 IRAH released a mini-album entitled “Into Dimensions” on Danish record label Tambourhinoceros (Efterklang, Palace Winter, Pardans) to wide critical acclaim and quickly established themselves as a household name in their native Denmark while enjoying an increasing international attention from tastemakers like BBC Radio 6 Music, KCRW, The Line of Best Fit, Hype Machine and The 405. Two years later, the band have already performed at international festivals like Roskilde Festival, Sziget Festival, By: Larm, Eurosonic, and headlined shows throughout Denmark as well as London. The new single “Unity of Gods” is their first release from their forthcoming debut album “Diamond Grid” and is a simple, yet compelling song with a body of repetitive piano lines, light drumming and velvet soft vocals seeking oneness. It had its first play last night on BBC Radio 6 music. The track certainly starts existentially with the lyric: “I call out thou name/Hear my calling/How will you greet me this time? Stine’s vocal is ethereal and dreamy whilst accompanied by repeating chords of gentle keyboards. Wisps of warm synth and strings add a layer of a calm, spiritual aura of sound. Their debut album will further explore the themes of being human in chaotic times with atmospheric keyboards and exquisite vocals. Renowned drummer Seb Rochford, who has worked with the likes of Polar Bear, Babyshambles, Brian Eno and Patti Smith plays on the album and has performed live with IRAH on several occasions. “Diamond Grid “is produced by the band in collaboration with fellow Dane, Mads Brinch Nielsen and the artwork is created by visual artist Jakob Steen. Look out for its release via Tambourhinoceros on May 24th.